The kids are gone, the house is too big, the lawn takes too much work; or maybe you want to move closer to the center of town or be part of a community of older adults. For most older adults, there comes a time when you need or want to downsize. The easy part may be packing up your possessions. The harder aspect is saying good-bye to what may be a lifetime of memories or choosing what is essential for you. What can you give away or give up? Who or what should be the recipient? What should you keep? For adults over 60, only a spouse's death and divorce rank as more stressful than moving to a nursing or retirement home, according to the Social Readjustment Rating Scale—the Stress Scale. Start slowly: It will be emotionally easier to tackle one room or part of a room at a time, giving yourself some breaks in between. (Consider distracting yourself with a movie or dinner with friends). You can start with an easier room, like a bathroom, that has less emotional impact. Once you’ve emptied one larger room, use it to organize the rest of the house or apartment. Be easy on yourself. Organize: Figure out exactly how much space you will have in your new home, including storage in the kitchen, closets and cabinets. How many dishes, clothes, books and so forth will you have room for? If your new space is half of what you have now, you know how much you have to get rid of. If you have more possessions than space, you can always rent a storage locker, but it can be expensive over the long haul and may just put off the hard decisions of what to keep and what to get rid of. To stay organized, create piles for things you want to keep, give to family and friends, sell/donate or throw away. To make letting go easier, take photos of what you’re leaving behind. To help with the decision-making process, it’s sometimes easier to ask, “What do I absolutely need” or "Which is my favorite piece" and then see how much room is left for anything else. Get help: Because downsizing can be a painful process, both emotionally and physically, don’t be afraid to ask for help. It’s an opportunity to go down memory lane with friends and family . At the same time, you can give away possessions to your loved ones, including items you may have been planning to give them after your death. Passing them on now means you can tell the story behind the gift or reiterate your affection for the person—whether your childhood best friend, your granddaughter or your favorite walking companion. Paperwork and pictures: Because going through old papers, personal notes, documents and photos is time-consuming, and because they often don’t take up a lot of space, you can pack these items and deal with them after you move. But if you do have time, it’s better to get rid of the papers and photos that no longer have any meaning. Make sure you shred any documents with personal information, account identification and especially Social Security numbers. You can digitize (on your computer) documents and photos you want to keep but don’t have space for computer (see sidebar). After sorting and packing possessions, you arrive at the big task of getting rid of the stuff you chose not keep. If you think an item is worth money, there are several approaches: auction houses, antique dealers, consignment shops, garage sales, eBay or Craigslist. Each has advantages and disadvantages, including varying costs. You can use an appraiser to determine the value, but you need to have enough items to make the appraiser’s visit worthwhile. Auction houses want to sell things at the highest prices and will therefore often offer you more than antique dealers, who want to purchase items at the lowest price. Whatever you can’t sell, you can give away. The main donation outlets include Goodwill, the Salvation Army, AmVets and Purple Heart. You can also find charities that might be more in line with your values, such as the Humane Society or a hospital/hospice outlet. Before you donate, it’s a good idea to check online or over the phone to see if your chosen charity has any restrictions on what it accepts: for example, no furniture or electronics, or only clothes and housewares. Also find out if they are willing to pick up larger items. You can target certain items for certain places; for example, take musical instruments to schools or old tools to auto repair shops. Nonprofits or local schools can use old magazines for art projects, and homeless shelters or abused women shelters can take unused toiletries. Even worn-out items, such as towels and blankets, are welcome at animal shelters. With the population of older adults growing, it’s no surprise that businesses catering to all aspects of helping seniors move are increasing. The number of local companies registered with the National Association of Senior Move Managers has grown from 30 to more than 800 since 2002, according to the group. Companies such as Caring Transitions can help manage the process and carry out your wishes. Senior move managers specialize in helping older adults with both the emotional and practical dimensions of late-life transitions. Managers can arrange estate sales, locate and deliver items to storage facilities or coordinate donations to charities (“New businesses help unload the stress of moving seniors,” USA Today). Hourly rates range from $30 to $90 depending on location. Seniors getting close to the eligibility age for Medicare are bombarded with appeals from insurance companies—both in their mailboxes and on their computers. For those who already have the health plan, the busy time comes during Medicare's Part D (drug) and Part C (Advantage Plan) open enrollment period, which runs from October 15 to December 7. Each year, you can switch from Original Medicare to a Medicare Advantage plan or from one Medicare Advantage plan to another, or from one Part D to another, with the new coverage to commence on January 1. Deciding which plans are best is not an easy decision because the choices are many and complex. To demystify the process, older adults can get help from guidebooks, classes and their insurance agents. Keep in mind that Medicare was never intended to completely pay for seniors’ medical costs. Basically, Medicare pays for 80 percent and you pay 20 percent. Over the years, more options have become available to fill in the gaps, with private companies offering ways to mitigate costs. The first choice you need to make is whether to go with the Original Medicare Plan, in which the government directly pays for hospital and medical care (Parts A and B, respectively), or to use the Medicare Advantage Plan (Part C), in which the government pays a private health network (such as an HMO or PPO), which often covers Parts A, B, and D (prescription drugs). 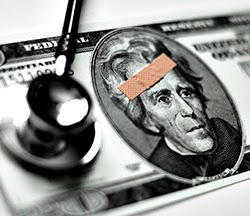 With the Original Medicare Plan, you still must pay for copayments, coinsurance and deductibles. For example, Medicare requires a $1,184 deductible for the first 60 days of a hospital stay and 20 percent of the cost of Part B services such as doctor visits, outpatient treatments and laboratory tests. To cover these costs, you have to get supplemental insurance from a private insurance company. These plans are called a Medicare Supplement or Medigap policies. The majority of Medicare users stick with the Original Plan, because they can choose their own health care providers rather than having to stay within the HMO network, which doesn’t work if you’re traveling outside of the HMO network. However, because HMOs carefully control costs, the Advantage Plans are often cheaper than the Original Medicare Plan. Choosing the Original Medicare Plan (in which the government directly pays your health care provider) opens a whole host of options. Supplemental plans, also known as Medigap, are confusingly named Plans A–N, although totally different than the Medicare Parts A–D. This is where most people’s eyes start to glaze over and you start wondering why someone couldn’t have chosen different names for all the plans. Medigap policies come in 10 standardized benefit packages labeled as the letters. Each plan offers a different set of benefits, fills different gaps in Medicare coverage and varies in price. (Be aware that Medigap policies never cover long-term, vision or dental care; hearing aids; eyeglasses or private-duty nursing.) Some insurance carriers offer some of the plans but not all of them. Although premiums vary between carriers, each company conforms to the Medicare definition of that plan. That is, Plan C will always be the same no matter which insurance carrier you use. The difference among plans has to do with how much each company pays for deductibles, coinsurance and copayments, and some plans offer to pay for emergency medical care while you are traveling in a foreign country. For example, Medigap Plans B, C, D, F, G and N cover the hospital deductible for each benefit period, while Plans K, L and M cover part of it. If you have to stay in the hospital, this benefit usually saves you money. Buyers need to carefully review insurance carriers’ offers, because premiums for the same plan can vary more than $100 per month. The most popular plan is F, which pays for pretty much everything Medicare doesn't, including the 15 percent excess charge from doctors who don't accept Medicare as payment in full. Plan C is the next most popular. Plans M and N, the two newest options, are cost-sharing plans that have cheaper premiums, making them appealing to healthier retirees who don't use as much health care (“How to Choose a Medigap Supplemental Policy,” Huffington Post). If, however, you live in Massachusetts, Minnesota or Wisconsin, you have different standardized Medigap plans that you can buy. Attained-age: Premiums start low but increase as you get older. Issue-age: Premiums increase with inflation rather than age. These policies may start out a little more expensive than attained-age policies but generally have fewer rate increases over time. Community-rate: The same premium is charged to everyone, regardless of age. Issue-age and community-rated policies will usually save you money in the long-run (“How to Choose a Medigap Supplemental Policy”). The best time to first enroll for Medigap is the three-month period before you turn 65, the month you turn 65 and the three-month period after turning 65 . During this seven-month period, insurance carriers must accept you without underwriting; that is, they must enroll you no matter your state of health and whether you have a pre-existing condition. After this seven-month period, you can enroll with (or change) different carriers every year, but insurance companies can reject you for any health reason. The main differences among insurance companies are premium amounts and kind of service you get. Prices also vary between tobacco and non-tobacco users, for different zip codes and for city and rural areas. You can count on premiums going up as you get older. Beyond the costs, how do you choose a reputable insurance company? “Ask your doctor,” says Mickey Batsell, an insurance agent and Certified Senior Advisor®. “Does he or she have any experience with certain companies?” You’re looking for candid feedback. Medicare provides information on the different types of plans. You can call Medicare at 800-633-4227 and ask them to mail you a free copy of the "Choosing a Medigap Policy" guide (publication 02110) or go online to www.medicare.gov. Different organizations offer their own advice. Consumer Reports ranks health insurance plans nationwide. You can use the tool to choose a plan category such as private HMO or PPO, or Medicare HMO or PPO. Then, choose your state and customize your search to compare plans' scores and their performance in measures such as consumer satisfaction and providing preventive services. AARP has lots of information and several guides, including one just for baby boomers. Your State Health Insurance Assistance Program (SHIP) or state insurance department can give you information on your state's rules, as well as provide free counseling about Medicare, Medigap and Medicare Advantage. SHIPs are federally funded programs and not connected to any insurance company or health plan. SHIPs were established to help beneficiaries with plan choices, billing problems, complaints about medical care or treatment and Medicare rights. To view this article from Senior Spirit, visit Senior Spirit Medical News - October 2013.